This looks so good. And I love your tile underneath. Ellerinize saglik! And Happy Thanksgiving to you Ozlem. My sister has to work Thanksgiving Day so we are getting together on Friday and I cannot wait. It’s almost time for cheap fresh prawns in Bodrum – can’t wait. Oh, you wicked woman! 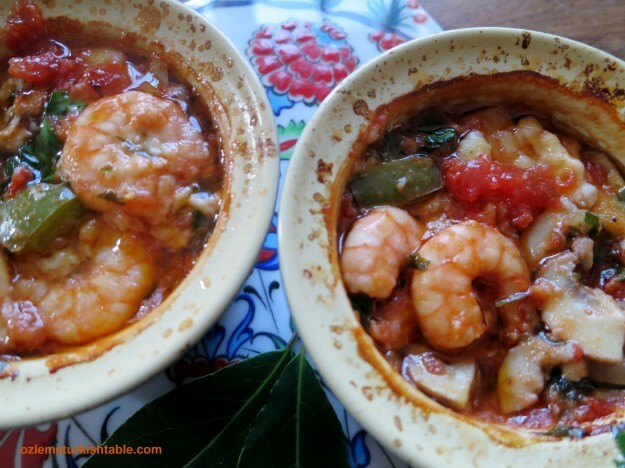 Prawns are not good for my cholesterol control – Just have to take an extra tablet or three. This looks so good! Sorry : ) hope you enjoy it as a once in a while treat; you can also replace prawns with chunks of fish of your choice? thank you for stopping by – cok selamlar! I have all ingredients in the fridge/freezer and there is raki, too. Guess what we are going to have for dinner tomorrow night? 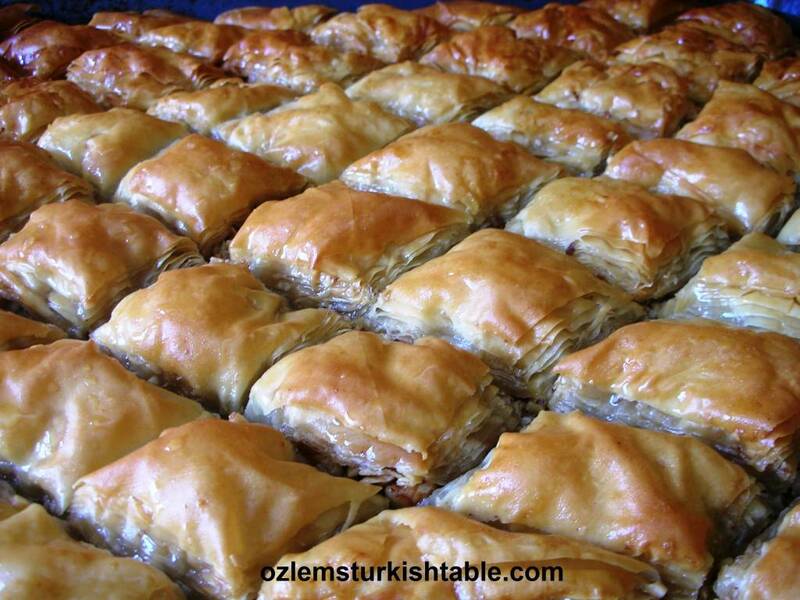 Özlem, We love this dish when we go out to a meyhane. 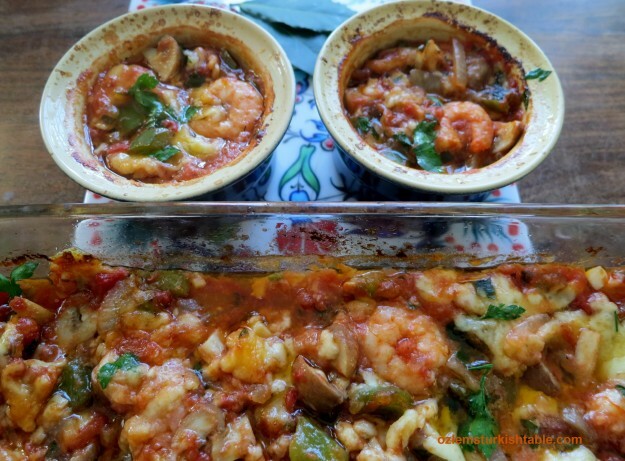 On Burgazada, waiters sit around a big tub of tiny shrimp peeling them for hours, getting them ready for the very popular güveç to be served up in the evening. It’s the tiny ones that we’re used to rather than prawn-sized ones. 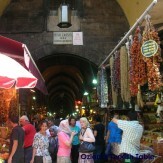 If, as Back to Bodrum says, there are some fresh prawns expected soon, I’ll keep an eye out for them in the market. Thanks for the (as always) delicious and healthy recipe. Delicious – this will make a fine supper dish. I must confess that I’d need a bit of persuading about raki, though. I know it’s traditional but I’m really not sure that I’ll ever get used to it. 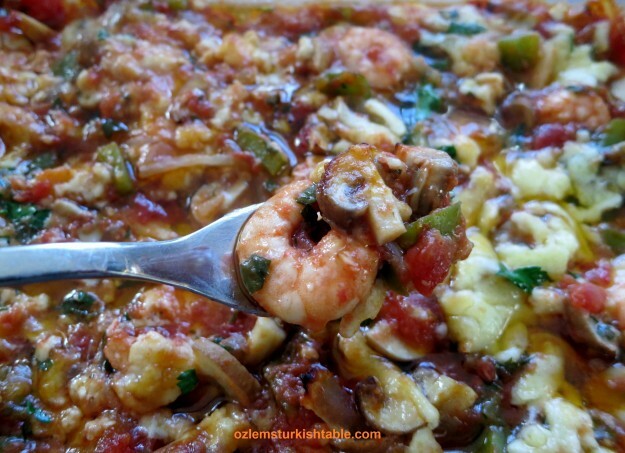 Merhaba Phil, I know what you mean, raki is an acquired taste, you either love it or hate it:) Glad you enjoyed the baked prawns post, one of our favorites! 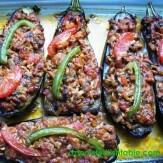 Just returned from fab holiday in Turkey and had this wonderful dish. 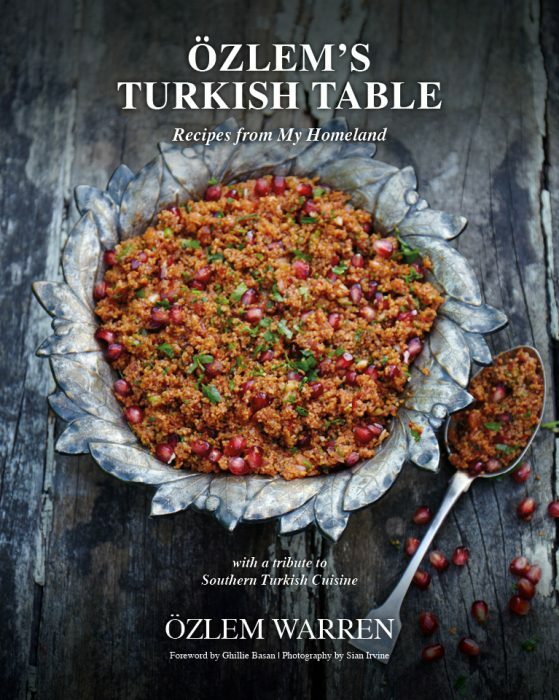 I would like to recreate but never heard or seen red pepper flakes, Turkish pul biber In UK supermarkets. Is there a substitute I could use. 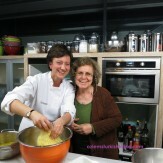 Thanks for the recipe Ozlem! 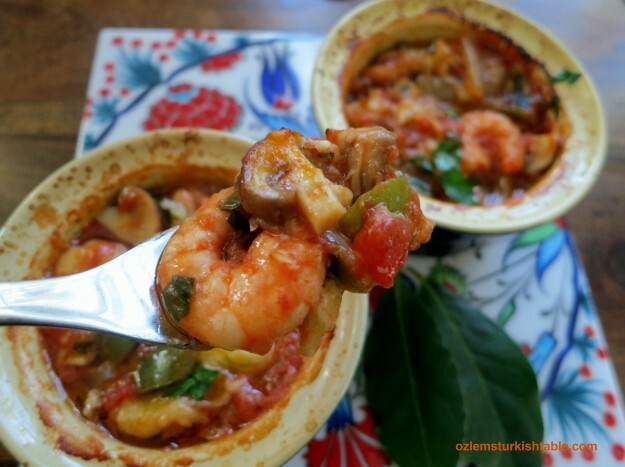 Super delicious and easy, and my Istanbullu husband wants to make this a staple in the house. Mersi! 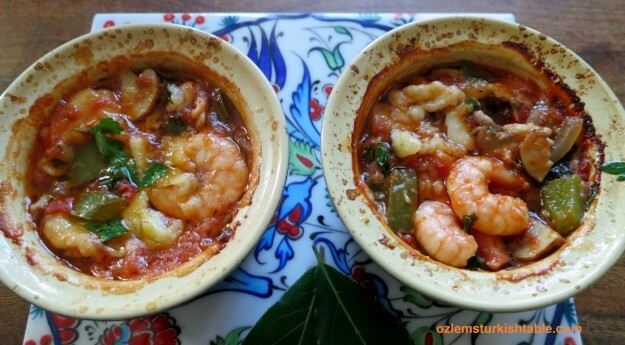 I BELONG TO A DINNER CLUB AND ONCE A MONTH THERE IS A HOSTESS THAT PICKS A DINNER THEME.THIS MONTH THE THEME IS TURKISH FOOD.I WENT ON LINE AND SAW THIS MEAL(DISH). IT LOOKS YUMMY AND EASY.SO I DECIDED TO TRY THIS ONE.THE DINNER ISN’T UNTIL THE LAST SATURDAY OF THIS MONTH.SO AFTR I WILL LET YOU KNOW IF IT WENT OVER.IF IT DID I AM GOING TO MAKE IT FOR MY HOUSEHOLD. Mmmm, just love a karides güveç. We don’t have any shallow güveç bowls so we never make this one but it’s definitely a tempter! 🙂 Might have to go out and make a purchase.